Independent Mortgage Advice We are independent Mortgage Consultants that work for you and not the lender. We are not tied to any one specific lender and we offer unbiased mortgage advice. Product Knowledge We know Mortgages! 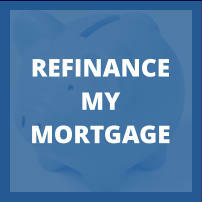 We communicate with lenders daily and are kept up-to-date on new products, mortgage options and government regulations. 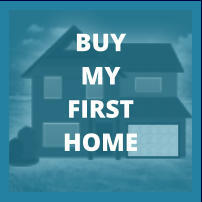 We have access to 100's of mortgage products. Free Consultations Consultations are free and there is absolutely no charge for our services on typical residential mortgage transactions. We are paid a "finder's fee" from the lender for bringing them your business. The finder's fees are pretty standard across the board, which again, allows us to keep your best interests in mind. Save Time with One-Stop Shopping It could take weeks to arrange appointments with competing mortgage lenders. We have access to over 90 Lenders Nationwide and best of all we do the shopping for you! Best Rates Lowest rate doesn’t necessarily mean its the best rate for you. Of course we work to get you the lowest rate for the mortgage product that works best for your circumstance but we also take into consideration many other conditions that a mortgage may hold that may affect your bottom line in the future. Availability We don’t just work bankers hours. Your application can also be completed from the comfort of your own home or if you would like to meet in person we offer flexible appointment times for your busy lifestyle. We can meet weekdays, evening and weekends! We are an e-mail, call or text away so please contact us with any mortgage questions you have. Personal Attention Long after your mortgage completes, we remain committed to offering you unbiased advice. Upon renewal of your mortgage, we will go through the same process as before and find the best strategy for your circumstance, always keeping your best interests in mind! Education BC mortgage brokers are required to complete the Mortgage Brokerage in British Columbia course and pass an exam before being licensed with the Financial Institutions Commission (FICOM). We are also required to take mandatory continuing education courses each year to keep up to date with industry regulations. If you walk in to your local financial institution, you may be speaking with someone who was working as a teller the week before! Independent Mortgage Advice We are independent Mortgage Consultants that work for you and not the lender. We are not tied to any one specific lender and we offer unbiased mortgage advice. Product Knowledge We know Mortgages! 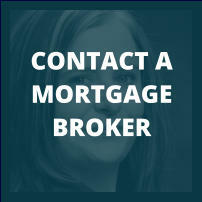 We communicate with lenders daily and are kept up-to-date on new products, mortgage options and government regulations. 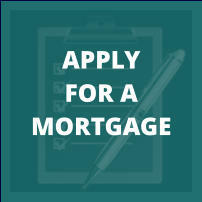 We have access to 100's of mortgage products. Free Consultations Consultations are free and there is absolutely no charge for our services on typical residential mortgage transactions. We are paid a "finder's fee" from the lender for bringing them your business. The finder's fees are pretty standard across the board, which again, allows us to keep your best interests in mind. Save Time with One-Stop Shopping It could take weeks to arrange appointments with competing mortgage lenders. We have access to over 90 Lenders Nationwide and best of all we do the shopping for you! 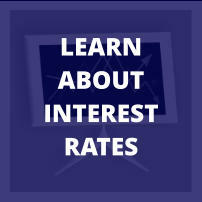 Best Rates Lowest rate doesn’t necessarily mean its the best rate for you. Of course we work to get you the lowest rate for the mortgage product that works best for your circumstance but we also take into consideration many other conditions that a mortgage may hold that may affect your bottom line in the future. Availability We don’t just work bankers hours. Your application can also be completed from the comfort of your own home or if you would like to meet in person we offer flexible appointment times for your busy lifestyle. We can meet weekdays, evening and weekends! We are an e- mail, call or text away so please contact us with any mortgage questions you have. Personal Attention Long after your mortgage completes, we remain committed to offering you unbiased advice. Upon renewal of your mortgage, we will go through the same process as before and find the best strategy for your circumstance, always keeping your best interests in mind! Education BC mortgage brokers are required to complete the Mortgage Brokerage in British Columbia course and pass an exam before being licensed with the Financial Institutions Commission (FICOM). We are also required to take mandatory continuing education courses each year to keep up to date with industry regulations. If you walk in to your local financial institution, you may be speaking with someone who was working as a teller the week before!